As a member of Fleetwood Mac, she had a key role in their massive success. Fleetwood Mac’s "Rumors" for example has sold over 45 million copies since its release in 1977 and is one of the bestselling records of all time. Stevie Nicks has had huge success as a solo artist as well. Her newest solo release, “24 Karat Gold: Songs From the Vault”, had her diving into her archives. Stevie Nicks would then treat her fans to rare gems never played in her live sets. The recent Moda Center show was a unique show for her and was more like a Storytellers show. She was personal, honest and she really made the arena feel more like an oversized living room like we were all at her home. Her stories would take us back to her early 70s Buckingham Nicks era to the current. Early in the set, one live highlight was the fan favorite "Stop Draggin My Heart Around" originally done with Tom Petty. Stevie joked during "story time" that one of her life goals is still to be the only girl in the Heartbreakers. 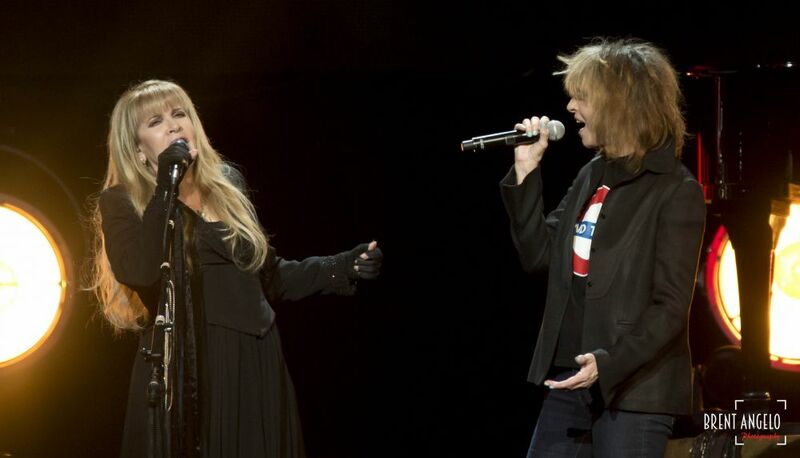 Portland was then treated to the surprise guest of Chrissie Hynde, who sang Tom's vocals. These two rock legends went back and forth, joking, teasing, and simply having a blast playing together. “New Orleans”, “Moonlight (A Vampire's Dream)” and “Crying in the Night” (Buckingham Nicks song – 1st time played on tour) were all treats rarely heard if ever on tour. The fan favorites were there too. Songs like “Stand Back” and “Edge of Seventeen” still rock in concert. Stevie Nicks is a rare, mystical artist who is still loved and respected by so many. With that undeniable voice, she is like no other. Stevie could have easily gone the greatest hits tour route and would have easily sold well but she gave Portland a show a truly special concert that celebrated her storied, musical career. The Moda Center show showed she remains one of music’s very best.